Pillows There are 94 products. This simple accent pillow does the trick for added comfort and style. Color block aesthetic is fashion-forward, showcasing white, gray and brick red. Paired with your favorite seat, it's a win-win situation. 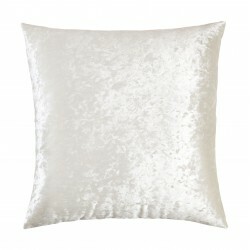 Bring a touch of glam into your life with this accent pillow. Luxuriously soft crushed velvet may look high maintenance, but it's conveniently machine washable for easy-breezy living. This simple accent pillow does the trick for added comfort and style. Color block aesthetic is fashion-forward, showcasing white, gray and yellow ochre. Paired with your favorite seat, it's a win-win situation. Plaid isn't a fad. It's simply timeless. Sporting a subtle plaid pattern mixing charcoal black and white, this accent pillow speaks to your classic sense of good taste. Who said football couldn't inspire timeless design? This throw pillow's fading helmet image on the cottony soft cover is nostalgic with style. Monochromatic palette fits into your home with ease. What do you get when you combine an on-trend ombre effect with sequin shine and the prettiest shade of blue? One delighted young lady. This awesome accent pillow is just the touch to make her room all her own. What do you get when you combine an on-trend ombre effect with sequin shine and the prettiest shade of pink? One delighted young lady. This posh accent pillow is just the touch to make her room all her own. Sleek, abstract design stops for no one and these pillows are certainly no exception to the rule. Featuring a geometric deerhead design, polyester covering and soft polyfill, you'll feel artsier with every look you take. The best part? They're machine washable, so you don't have to sacrifice style for practicality. Casually cool style works inside and out with this indoor-outdoor pillow with high-performing Nuvella ® fabric. Easy-breezy ikat pattern is beautifully on trend. Muted tones of blue and brown make for a sultry, earthy blend. You can bet this throw pillow will give a sitting area or bedroom posh pizzazz. Buzzing with interest, the eye-catching geometric pattern is ultra cool and highly contemporary. Bland taste is certainly not on the menu for this throw pillow. Softly textured stripe pattern brings savory, energetic color to your home. It's not just a pillow, it's a style maker.